Paying attention to the National Highway Traffic Safety Administration’s (NHTSA) seat belt campaign, Buckle up America could save your life. Since most accidents happen within 25 miles of your own fronmoot door, it’s important to make buckling up a habit you NEVER break. Jiffy Lube of Southern California is committed to community involvement that increases awareness about safety, health, and quality of life for area residents we live and work with. Although this message is for both drivers and passengers, we especially hope you’ll share it with teens, male drivers, and drivers of pick-up trucks— statistically, they’re the least likely to protect themselves with a fastened seatbelt. The law: Driving unrestrained in most states could land you a ticket. 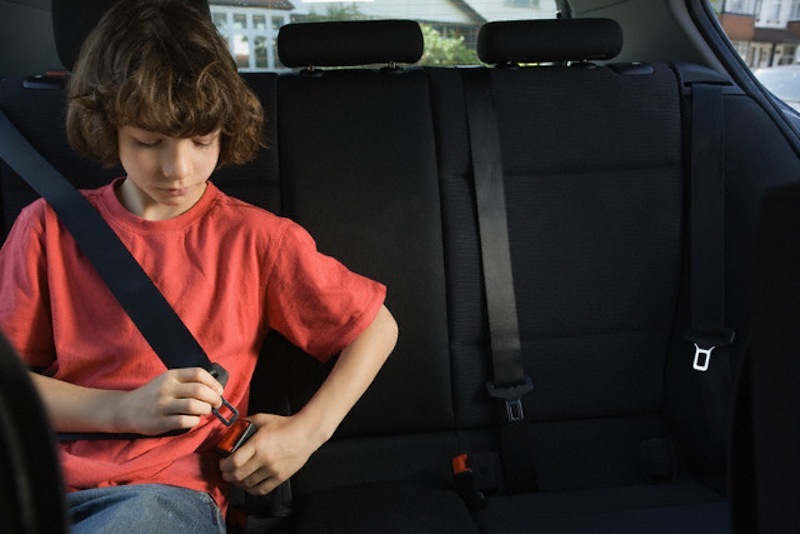 California requires that ALL vehicle occupants be restrained with a seatbelt or child safety seat depending upon their age, height, or weight. California’s primary enforcement law means a driver may be stopped and ticketed for the sole offense of driving unbuckled. Reduced injuries: Correctly wearing a seatbelt while riding in the front seat of a vehicle decreases fatal crash injuries by 45%; seat belts keep you inside and in your seat in the event of an accident preventing injuries caused from hitting the windshield, steering wheel, or other passengers in the vehicle. Best defense: Using a seatbelt is the best protection against a crash resulting from the actions of an impaired, aggressive, or distracted driver. Airbags: Buckling up keeps you in your seat, optimizing the safety benefits of a vehicle’s airbags. For maximum protection, it’s important to wear your seatbelt correctly: with the lap belt fitting snugly over your hips while the shoulder belt rests across your chest. This ensures the force of a crash will be dispersed across the strongest parts of the body. vehicle maintenance, including your next oil change.